Produce coming in, some powdery mildew on the cucumbers and succession planting is ongoing. Plus it’s time to process peppers and beans for the freezer. 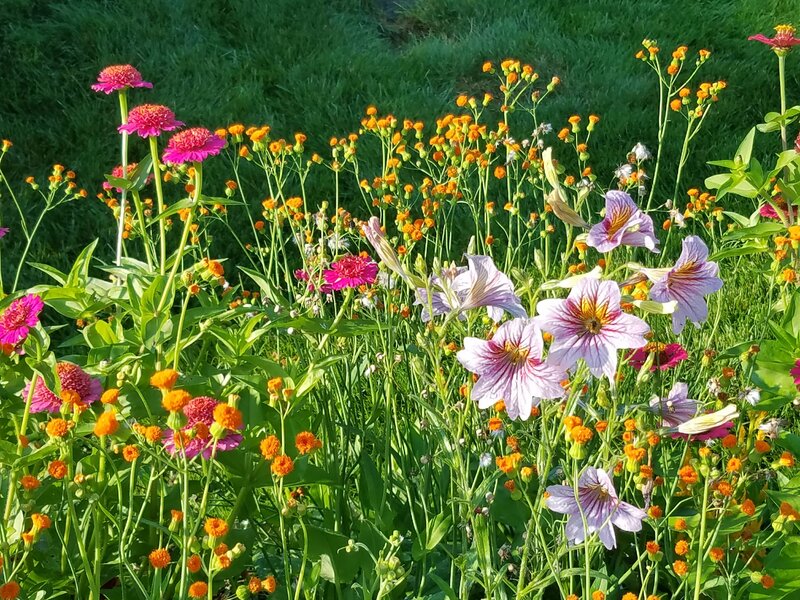 The flowers are at their peak. Summertime unfortunately is winding down. The hardneck garlic has been harvested, dried and trimmed. Next up I’ll process some of it with olive oil, others with basil and freeze into cubes for delicious soups, sauces and hummus. Think I’m addicted to hummus since you can always find some in my refrigerator along with fresh greens. Here’s my hummus recipe. 1 cup dried garbanzo beans which makes 3 cups beans. Soak overnight or simmer 2 minutes then let set 1 hour. Bring to simmer again. Then bake soup/ bean pot with water for 2 hours at 350 F. Drain except for 1 cup liquid. Note: I have purchased an electric pressure cooker and they can be made more quickly without soaking. See your manufacture detail. Using a food processor combine all ingredients and process until smooth. Add additional bean water until it reaches desired consistency. Carrots and hummus taste so good together, so does whole wheat bread toasted. Some of my favorite things. 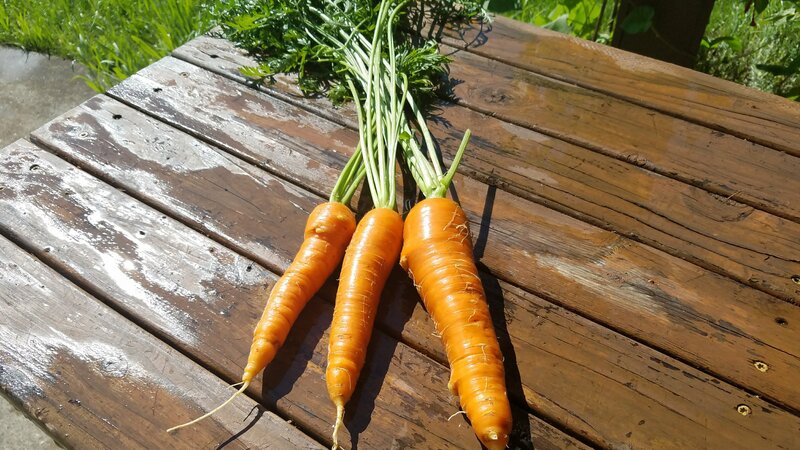 Carrots are continually harvested and succession planting started a month ago with them. 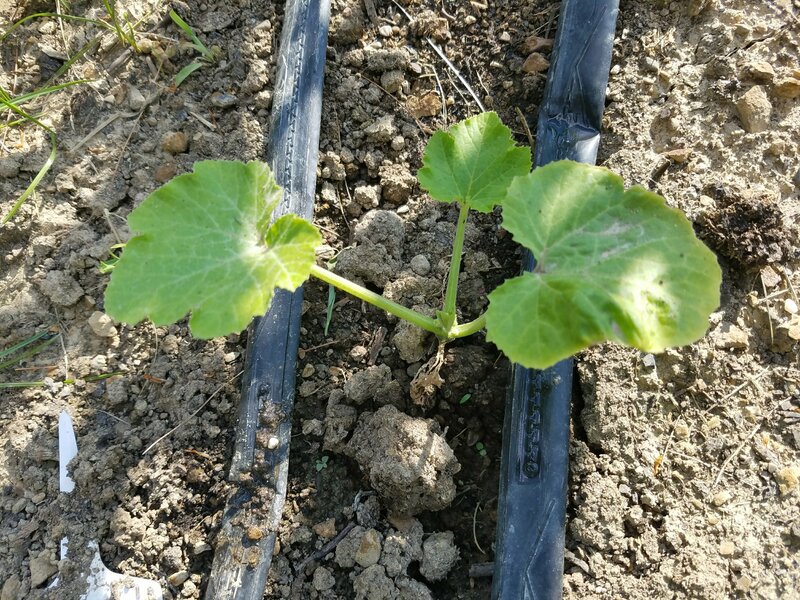 New zucchini baby plants are in the garden to replace the struggling ones that are left. The squash vine borer has been busy and the plants have put new roots down, but it’s just a matter of time. I don’t become discouraged as every year I just plan on succession planting my veggies. Until next time. You have a valid points although I was relying on photos to strengthen the statements. I will consider that in future posts but since most read on phones I was also limiting the length of the post.